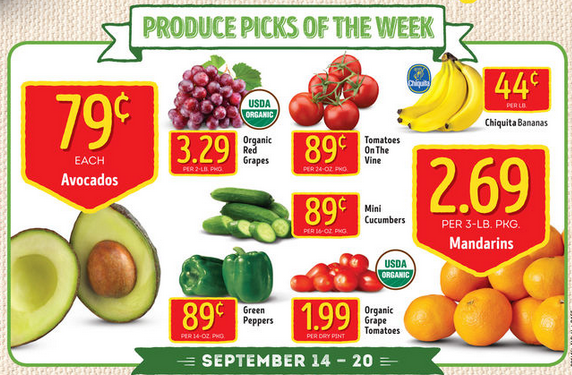 It's a new ALDI week, and that means new produce deals. Below you can see our North Florida ALDI deals, but you can see your own ALDI produce deals here. In North Florida we have the following ALDI produce deals from September 14 - 20, 2016. What produce deals do you have . Interesting. I live in Fort Lauderdale we have the same fresh produce on special this week but our prices are much lower. June, I have noticed some price increases since moving up here. We live in a tourist town, and a lot of prices are higher - especially at Home Depot, but, I'm just so thankful that we have an ALDI store close by.